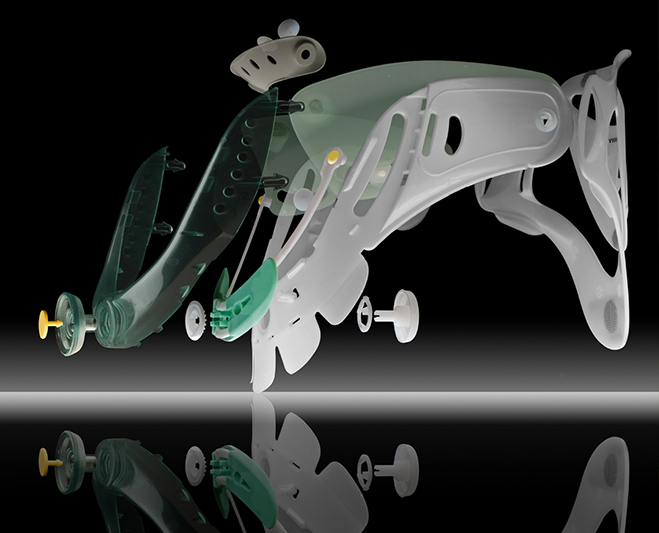 Delivering breakthrough designs and breaking the mold in spinal bracing has been our inspiration for 25 years. From the inception, Aspen has brought to market the Aspen Cervical Collar which inspired change in the industry approach to cervical care. This set the stage for numerous breakthroughs in spinal bracing that help solve both clinical and business challenges through a bold, innovative approach. Aspen is driven by the expectations of our customers and of ourselves. As an important tool in a patient’s recovery, we understand the critical nature of what we do. We take a needs-based approach and design with both the healthcare provider and patient in mind. We invest significantly in R&D and provide vital clinical testing that is second to none and expected by our customers. As experts in our field, our direct sales force supports effective outcomes through ongoing education and in-service training. Backed by clinically tested products, Aspen’s established professional medical community is well equipped to help offer the best patient outcomes through research driven designs. California Medical Products is established in Long Beach, CA. To meet the US Army’s need for better emergency neck brace, Geof Garth brings to market the first Stifneck™ Extrication Collar. Dan Williamson joins California Medical Products. 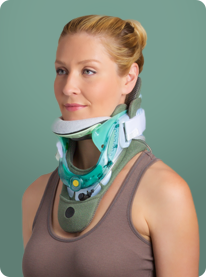 Over one million Stifneck™ collars are sold and the company is acquired by Laerdal Medical. 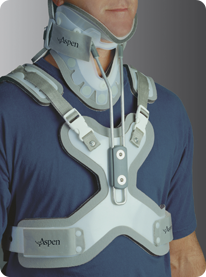 International Healthcare Devices is formed and the Aspen® Cervical Collar is introduced, providing long-term motion restriction while minimizing the incidence of skin breakdown. Fiji Enterprises, a development and contract manufacturing company is established to assemble the Stifneck™ and Aspen® Collar as well as new product introductions including the Headbed™, V-Vac™, and Aspen® CTO. Aspen Medical Products is formed, merging Fiji Manufacturing and International Healthcare Devices. 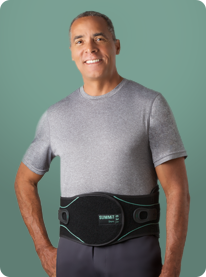 Aspen launches the first off-the-shelf lumbar braces to be clinically tested and shown to equal the motion restriction of custom braces: the Aspen® LSO, Aspen® LSO LoPro and the Aspen® TLSO. 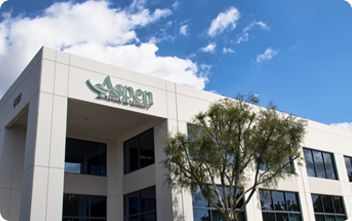 Aspen headquarters moves to Irvine, CA. The Aspen® Pediatric Collar is redesigned and two smaller infant collars are added. The QuikDraw™ PRO is introduced and quickly grows to be one of Aspen’s most successful new products. Aspen expands QuikDraw into a line by introducing the Contour™ Bracing System. 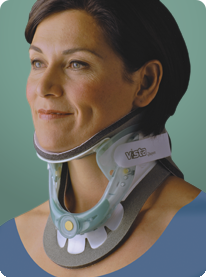 Aspen introduces the Vista® Cervical Collar, the first one-sized adjustable long-term collar. The Vista® Collar will go on to become the standard of care among U.S. Trauma Centers nationwide. Aspen introduces the Summit™ Line and immediately becomes Aspen’s most successful new product launch to date. Aspen also introduces the Vista® CTO and Evergreen® Line. Aspen introduces the Vista® Lower Spine line, a fully adjustable design allowing one size to fit the majority of patients. The Horizon™ Line is also introduced and immediately becomes Aspen’s most successful new product. Aspen introduces the Vista® MultiPost and Vista® CTO4. 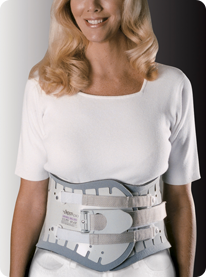 Aspen also introduces the Peak Scoliosis Bracing System™, the first product specifically developed for adult patients with scoliosis to help bring them into a more neutral alignment. Aspen introduces the Vista® MultiPost Therapy Collar offering a compression bladder that helps achieve cervical neutral. 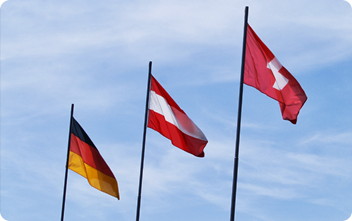 Aspen expands globally, opening its first international headquarters in Griesheim, Germany servicing Germany, Austria and Switzerland. Aspen also opens East Coast and European distribution centers. 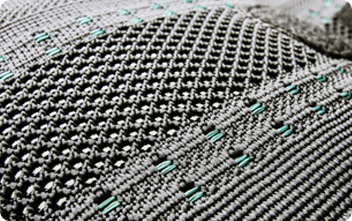 Aspen Elite™ line featuring the newly developed UltraKnit™ technology is introduced as the first product designed specifically for the international market. Innovations are at the heart of the Aspen experience. We listen to our customers to understand the problem, apply creative thinking then get to work. 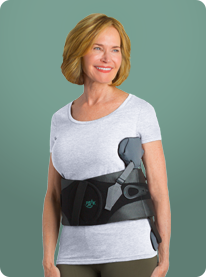 Whether it’s helping to resolve skin breakdown issues through transformative cervical collar design, showing practitioners how to increase efficiency with adjustable products or tackling new issues like posture alignment and adult scoliosis. Aspen is committed to delivering the best possible products that help improve lives. We have a mission to develop industry-leading products and provide the support to deliver the best patient and business outcomes, while running a company that we can be proud of. We pride ourselves on serving and leading the industry with products that make a real difference in people’s lives. We are a team of originals who are inspired by doing things worth doing. Not satisfied with good enough, we continually look at old problems with fresh eyes, innovating our way to better patient outcomes. Dan Williamson founded Aspen Medical Products in 2003 to realize a life-long ambition to own his own company. Led to the health care industry, Dan established his business credentials first with a large multi-national health care distribution company, American Hospital Supply, later Baxter International, where he held increasingly more responsible positions in Operations, Finance and Accounting. After gaining all the knowledge he felt he needed regarding large corporate operations, he ran a small medical device company for an owner to learn the intricacies of an entrepreneurial operation. 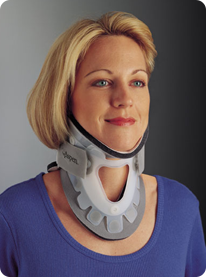 Upon the sale of that company, Dan purchased inventory, patents and manufacturing IP for the original Aspen® Collar, a revolutionary cervical collar that changed the bracing industry due to its ability to support the cervical spine while diminishing skin break-down. With a small staff, Dan set about changing how cervical bracing was accomplished in the hospital and post-hospital markets and eventually changed how hospitals and practitioners used bracing as a treatment for spinal injuries and recovery. Branching out beyond cervical spine, Aspen MP ultimately built a product line that provides bracing opportunities for the full spine, offering both upper and lower spinal bracing products. 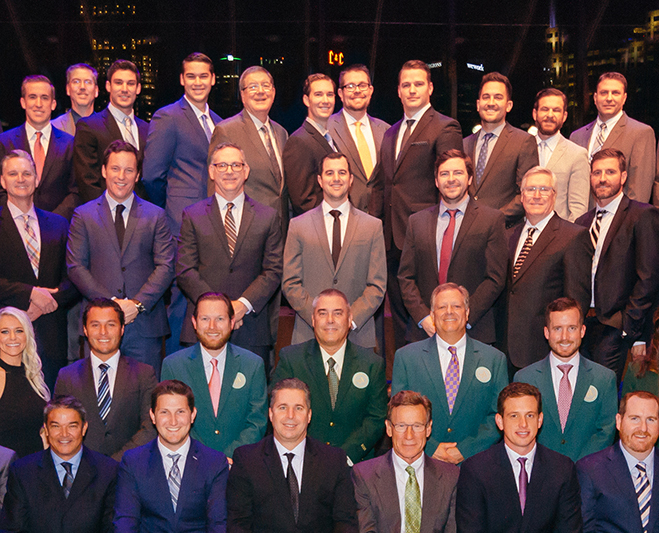 With three goals for the establishment and growth of his company, Dan has created an organization regularly recognized as one of the best places to work in Southern California with steady growth and expansion for over twenty years. Dan’s goals for Aspen were simple: 1) Provide the best products in the market, not the cheapest, but the best; 2) Provide products that helped people by relieving their pain, aiding in their recovery or enabling them to return to their normal lifestyle; and 3) Create an environment for employees where they wanted to go to work, enjoyed their jobs, felt a part of something important and had the opportunity to be involved and understand all aspects of their company. With low turnover, high employee morale and a work/life balance priority, Aspen MP continues to achieve Dan’s goals for the company. Additionally, under Dan’s leadership, Aspen MP develops and releases at least three products each year that are innovative and meet the needs of individuals requiring spinal bracing assistance. A debt-free company, financing all R&D and expansion internally, Aspen MP continues to experience significant growth each year and is expanding its offerings to new and dynamic markets both inside and outside the US. Dan earned his BS in Accounting from Miami of Ohio and completed his CPA shortly thereafter. A sports enthusiast, Dan is a street cyclist, golfer, sailor and regular participant in the on-site workout classes held in the Aspen MP gym. Extremely active in his church, Compass Bible Church in Aliso Viejo, Dan and his wife have five children and one son-in-law. A true inventor, Geof Garth has the title of Senior Vice President of Product Development at Aspen MP, with responsibility for consulting with the product development team as well as pursuing outside business development opportunities for Aspen. Geof also handles much of the research projects in support of medically validating the efficacy of Aspen’s products. Holding over 30 patents in products as diverse as board games, consumer goods and medical products, Geof is passionate about inventing products that fulfill a need. 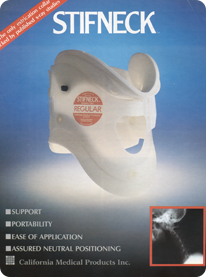 In 1981, after 3 years as a designer for a major toy company, Geof started his own company to develop, make and sell a new kind of cervical collar designed specifically for the emerging prehospital care market. 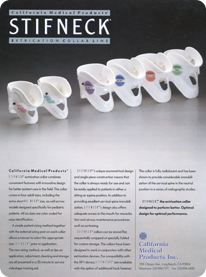 California Medical Products used handicapped workers in a sheltered workshop to build its products and quickly grew to become an industry leader with several award-winning products and some 80% of the prehospital care collar market. After selling that company in 1990, Geof developed several more products including 2 for Aspen MP before formally rejoining the company in 2000 as a minority owner. A graduate of Brown University with a BA in Creativity and Design, Geof also studied Industrial Design at California State University in Long Beach, where he later taught. An avid fly fisherman, and surfer, Geof has one daughter who attends Brown University as well. As Aspen’s Chief Financial Officer, Randy Barbera directs not only all the accounting and finance operations of Aspen MP, but also is responsible for managing external legal activities and leading the IT department. Randy’s diverse background in accounting and finance has been built with progressively more responsible positions in a variety of functions including finance and accounting, continuous improvement teams, manufacturing, strategic planning, capital planning, and facilities and site services. He honed these skills in a variety of Fortune 500 health care related companies, including American Hospital Supply, Baxter International, Hill-Rom/Hillenbrand Industries and Ventana Medical Systems/Roche. While at American Hospital Supply/Baxter, Randy worked for Dan Williamson, Aspen’s CEO and founder, laying the foundation for his most recent career move, joining the Aspen team in 2012 as the company’s CFO. In addition to his regular responsibilities, Randy leads Aspen MP’s strategic planning initiatives and is responsible for coordinating the resulting goals and objectives into the company’s business plans. With a Bachelors in Business Administration in Finance and an MS in Accounting from the University of Wisconsin, Randy is an avid road cyclist and sports enthusiast. A devotee of Aspen MP’s Challenged Athletes Foundation (CAF) activities and a daily participant in Aspen’s on-site workout classes, Randy is also a 45-year, Type 1 Diabetic and a Juvenile Diabetes Research Foundation (JDRF) supporter. The father of six, including two sets of girl twins, Randy is married to an incredibly patient woman! As Aspen’s Chief Administrative Officer, Kathryn is has a varied set of responsibilities for the company. Accountable for Organizational Development, Human Resources, company policies and procedures, advising executives on procedural and operational issues, and insuring the vision of the CEO is realized, Kathryn wears many hats. With a diverse background, Kathryn began her career working for the State Department in Europe before returning to the US and beginning a corporate career. Starting with American Hospital Supply Corporation, Kathryn has held positions in Operations, Marketing, Organizational Development and Human Resources at both AHS and later with Pepsi, reaching the VP level early in her career. Kathryn left the corporate world and founded two successful companies, one a consulting firm working with clients from start-ups to Fortune 100 organizations, the other a 125-employee communications company. Having worked with Dan Williamson, Aspen’s CEO, and Randy Barbera, Aspen’s CFO, at American Hospital Corporation over thirty years ago, she relishes starting and continuing her business career at a progressive, successful and fun company with people she enjoys! Kathryn received degrees from the University of Heidelberg and University of Maryland and attended law school at Boston University. She is a frequent topical Leadership, Organizational Development and Personal Development speaker to a wide range of regional and national organizations. An avid horsewoman, terrible golfer and weekend home chef, Kathryn is married to a high school buddy and has two daughters with matching son-in-laws, and four grandchildren. As the Vice President of Research and Development for Aspen Medical Products, Steve Burke is responsible for the identification and implementation of new technologies and product strategies, and the development of orthopedic products for worldwide distribution. Prior to joining Aspen MP in 2008, Steve was involved in numerous start-up ventures establishing first to market products in the orthopedic, athletic, sports, medical and footwear industries coupled with strategic product planning. As the owner of a design consulting firm, Steve worked with companies such as Vans, K2, Quiksilver, Innovation Sports, Xerox and Hughs Electronics in bringing successful, innovative products to market. Key to his success at Aspen MP and his prior assignments has been his expertise in the development of products that realize enhanced human/product performance using state of the art technologies and materials. Since 2010, Steve has led the development and introduction of 42 new products for Aspen MP with many more currently on the drawing board. Steve has traveled extensively for work and leisure throughout North and Central America, Asia and Europe, including a two-month backpack trip through Europe. An avid surfer, Steve enjoys hitting the waves regularly along the Southern California coast, as well as surfing adventures to Costa Rica, Nicaragua and Mexico. Steve has been married for 30 years – to the same woman – and they have a daughter graduating from SDSU in 2018. John Hamilton serves as Aspen MP’s Vice President of Quality and Strategic Initiatives, responsible for not only all Quality actions relative to Aspen’s products, but also key Strategic Initiatives as identified by the executive team. Some key initiatives that John has been tasked with include moving manufacturing operations to Mexico, finding manufacturing partners for lower spine products in China, defining new technologies for production in the Mexico manufacturing plant, and identifying and developing facility requirements across the organization. An Aspen MP employee since 1996, John has held a variety of positions with the company ranging from Project Manager to R&D, IT leader, and most recently prior to his current position, Vice President of Operations. A key supporter of Aspen MP’s original charitable recipient, Challenged Athletes Foundation (CAF), John is responsible for procuring, assisting with training, and supporting the athletes that make up the teams that Aspen fields for the Aspen Medical Products San Diego Triathlon Challenge each October. A graduate with honors of the Industrial Design Program at the University of Cincinnati, John is an avowed outdoorsman, having completed a 120-mile backpacking trip with his wife and youngest son. He has also participated in the CAF San Francisco to San Diego bike challenge to raise funds and awareness for CAF. Married to his college sweetheart and the father of two college age sons, John is also a member of a Visage Key Executive Group. Scott Hampson is Aspen’s Vice President of Operations with responsibility for Customer Service, Logistics, Planning, Sourcing/Purchasing, the Technology Center and Manufacturing. Scott comes to Aspen with a very rich and varied background in all aspects of Operations, including Supply Chain, Logistics, Purchasing and Manufacturing, this experience gained from some of the best companies in the Fortune 500. Prior to joining the Aspen team in 2015, Scott held increasingly responsible positions within Operations at Toshiba America, Apple, Honeywell and Abbott. A proponent of Lean Six Sigma and Continuous Improvement programs, Scott is currently leading Operational Excellence initiatives within Aspen while growing the Global Operations capabilities. A Canadian by birth, who swears he no longer says “eh”, Scott holds a Bachelors in Economics from Colorado College and an MBA from the Anderson School of Business at UCLA. A former Division 1 college hockey player, current soccer coach and soccer referee when time permits, Scott is also an avid golfer. Scott and his wife have a son in high school and a daughter attending college. As Aspen Medical Product’s Vice President of Sales, Andrew brings a wealth of broad experience to the role. He leads the domestic sales group, including the Field Sales, Market Specialist, Corporate Accounts and Sales Development teams. Andrew graduated from UCLA, then served as a law enforcement officer for the cities of Los Angeles and Huntington Beach, where he developed his skills in dealing with and understanding human behavior. Joining Aspen MP as a sales representative at the close of his law enforcement career, he managed a territory, a region and was the Director of International Sales before leaving to start his own company. While partner in a private equity firm, Andrew gained invaluable business experience as the Managing Director of several clean energy ventures in China, in addition to his already well-honed sales expertise. Returning to the U.S., the company was pleased to have Andrew re-join Aspen MP and he was quickly promoted from Region Manager to Director of Sales and now serves as Aspen MP’s Vice President of Sales. The married father of two boys, Andrew and his wife, an international flight attendant, not only travel extensively, but also own an upscale pet resort near their home. Tom Manix is Aspen MP’s Vice President of Marketing and Business Development, responsible for all marketing, marketing communications, product management and strategic business and product opportunities for the company. Aspen’s second most tenured employee, Tom began his employment at Aspen as an educator in 1995, after an early career as a paramedic for the Los Angeles City Fire Department and as the Director of Emergency Medical Training at UCLA. A natural sales person, Tom quickly was drawn into sales at Aspen and for twenty years, in progressively more responsible positions, directed the sales force. Under Tom’s leadership, Aspen grew and developed both direct and distributor sales, securing double digit sales growth for the company. With his knowledge of the industry, markets and patient needs, Tom became the company’s leader in Marketing and Business Development in 2017. Under Tom’s guidance, the company will be expanding into new opportunities as Aspen MP continues its expansion and growth trajectory. A graduate of Loyola Marymount University, Tom holds a Bachelor of Arts Degree in Political Science. A gifted musician, Tom’s talent with guitar and harmonica puts he and his band in high demand throughout the area. An avid golfer and gifted story teller, which sometimes go hand-in-hand, Tom and his physical therapist wife have two sons and a daughter.